When Buzzfeed names you one of 25 cupcake shops worldwide to visit before you die, you know you're doing something right. 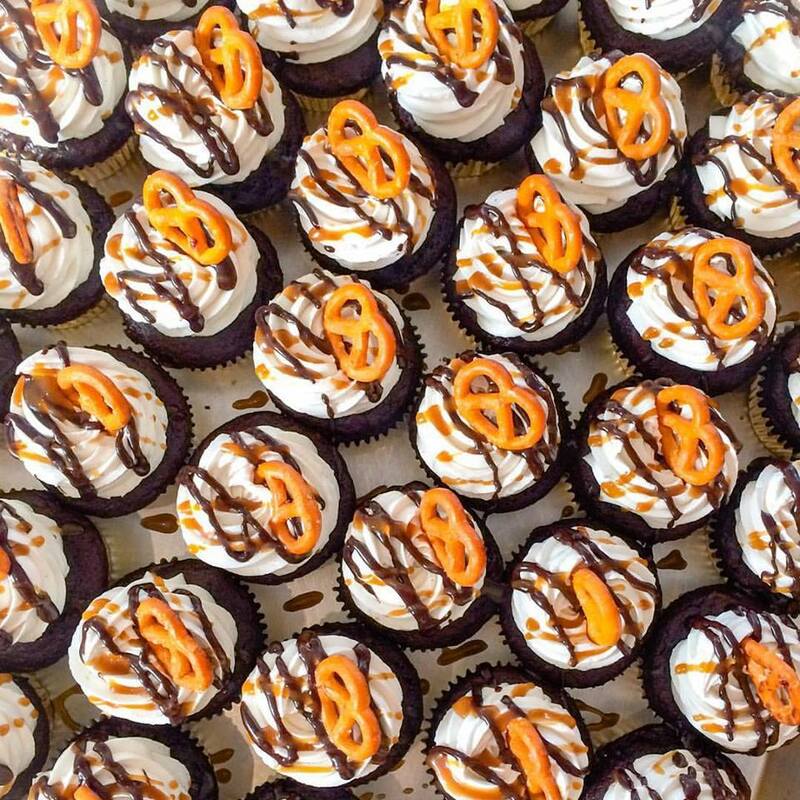 Forget gluten-free or vegan cupcake shops, Kelly's Bake Shoppe, owned by mother/daughter duo Kelly and Erinn, made the list among other white-flour, sugar and nut-filled options. Based in Burlington, Ontario, about an hour outside of Toronto (they offer delivery from Grimsby to Ajax), Kelly's offers a selection of treats to satisfy any dietary restriction. Their baked goods are: gluten-free, dairy-free, egg-free, butter-free, lactose-free, vegan and peanut-free AND they taste amazing. Recently added to their menu of adorable donuts, festive cupcakes and delicious cookies is vegan soft serve ice cream. But what's actually in their award-winning Mile High Brownies and other desserts? Only organic, fair-trade ingredients, including natural colours from beet juice—used in their red velvet cake—plants and flower petals and natural flavours like peppermint oil, espresso beans and organic cocoa. We love their cookie sandwiches—try the World Peace cookie, made with seeds, dried berries, oats and chocolate chips so you get some nutrients with your creamy vegan frosting—donuts, because gluten-free donuts are oh-so-hard to find, and of course, cupcakes. Piled high with frosting, sprinkles, dulce de leche sauce and even sometimes pretzels, they truly are worthy of Buzzfeed's praise.